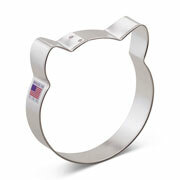 Ann Clark's 3 1/2" Cat Face Cookie Cutter will tickle your whiskers. 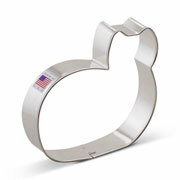 This cookie cutter makes a cat face cookie that is a lot of fun to decorate. 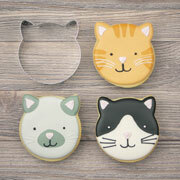 A purr-fect gift for cat lovers or activity for children. 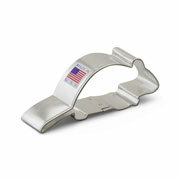 Use for baking, decorating and crafts. Great & Made in USA Yeah! This was an excellent cookie cutter bought to be part of a set for PJ Mask themed cookies for a child's birthday. Very nice will buy from Ann Clark again, fast delivery fair cost of delivery. Larger than I wanted but I ordered it anyway. It should be easier to decorate!